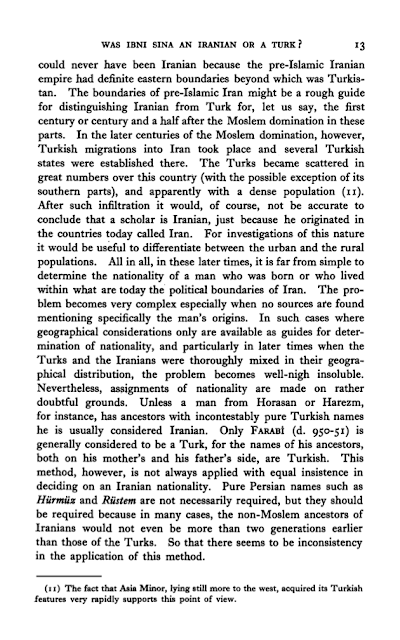 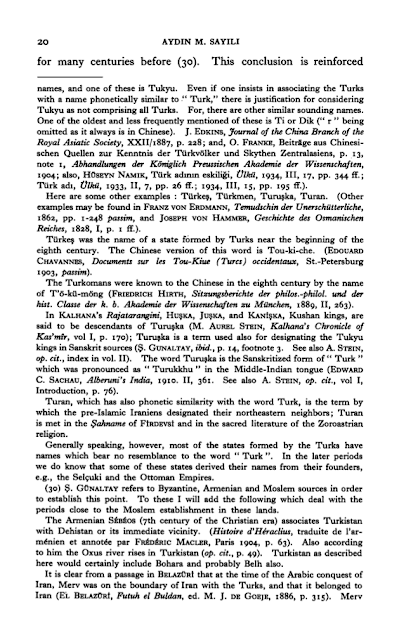 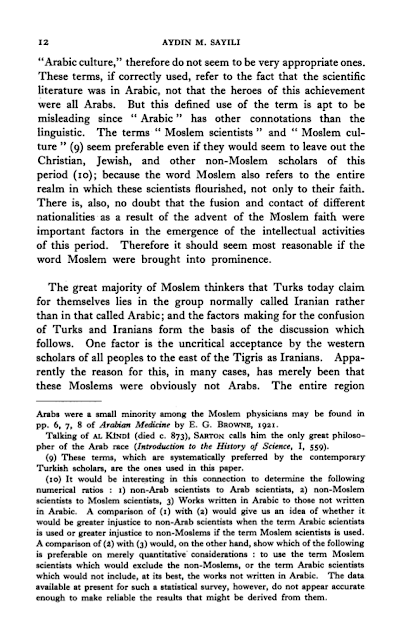 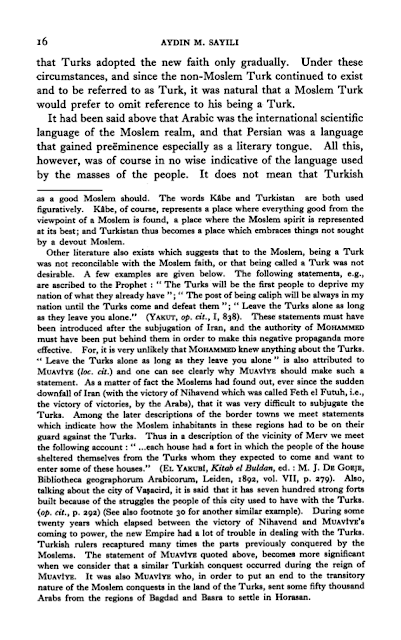 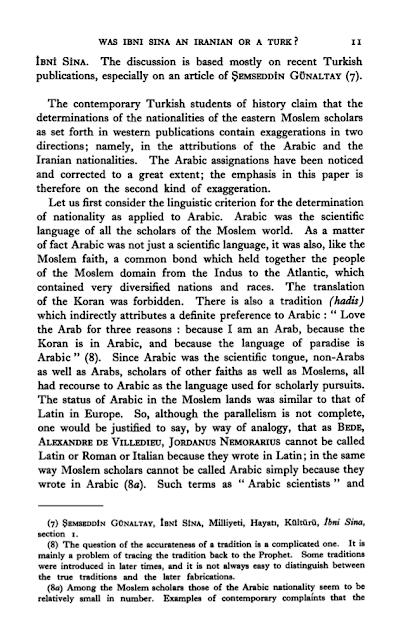 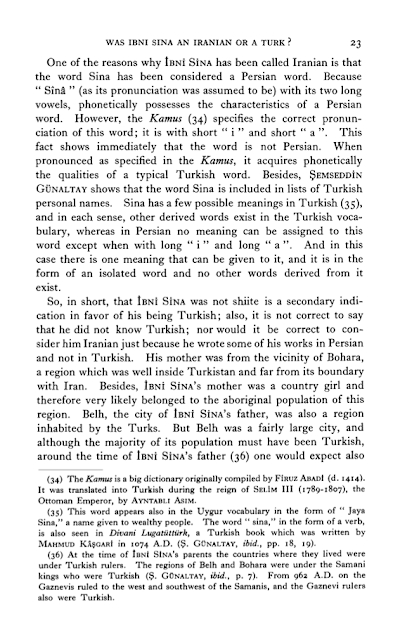 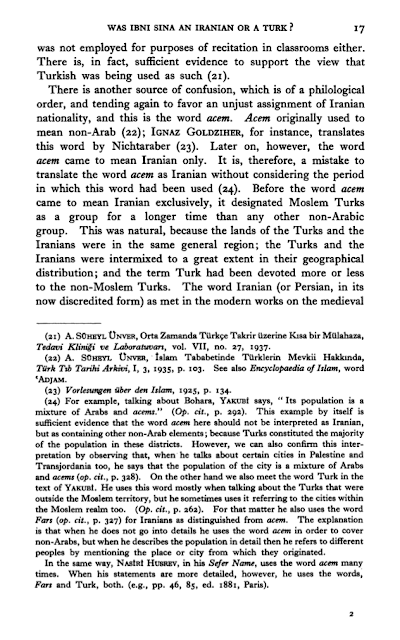 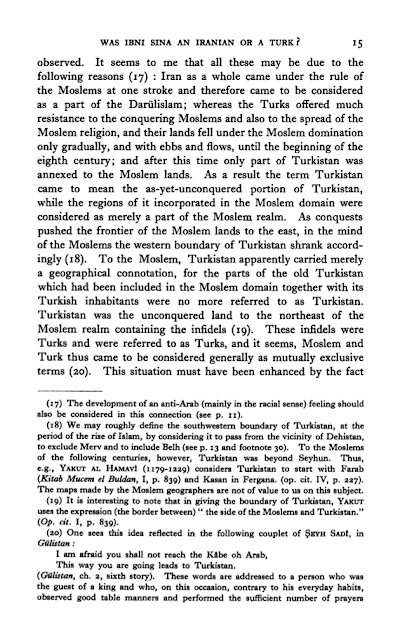 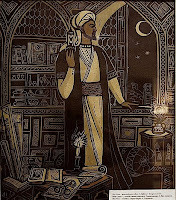 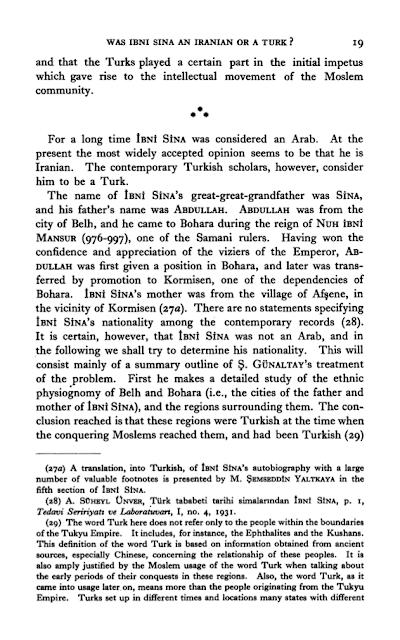 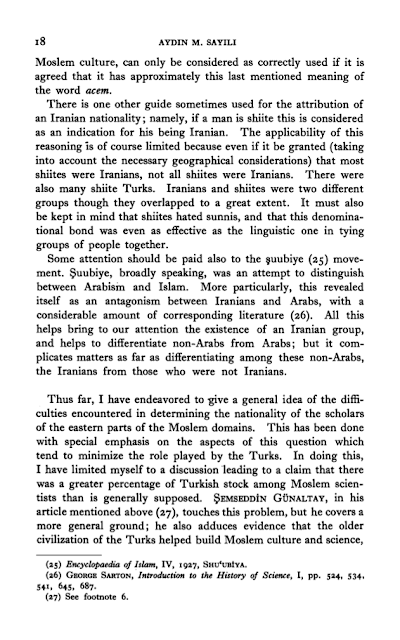 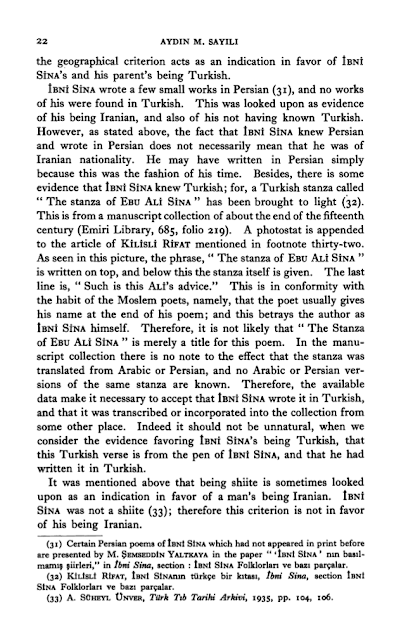 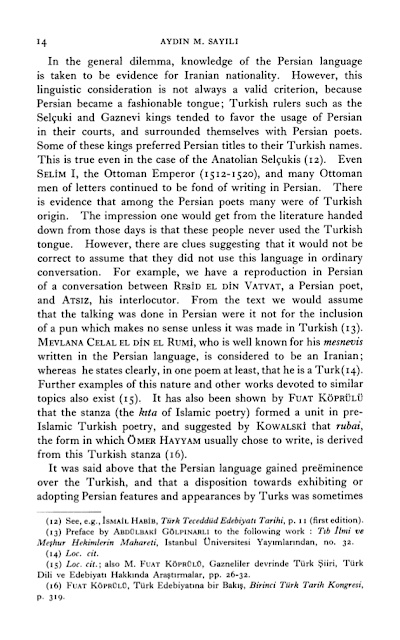 7buruk: Was Ibni Sina an Iranian or a Turk? 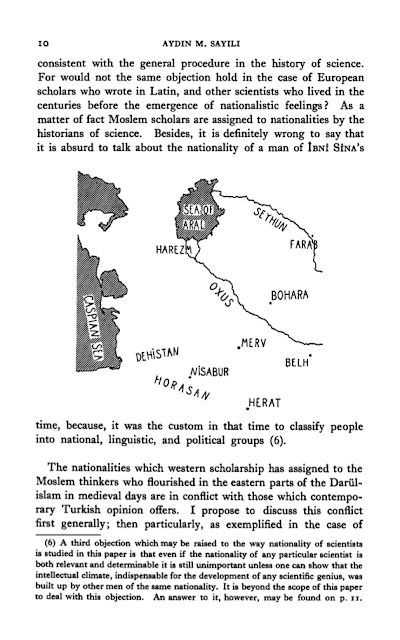 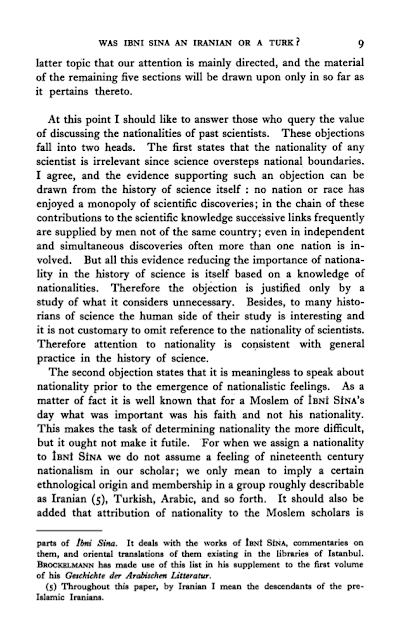 It has been said that "few historians of science count themselves among George Sarton's students" because in his "concern to stablish the history of science as a respectable scholarly enterprise, Sarton made demands on students so severe as to be self-defeating." 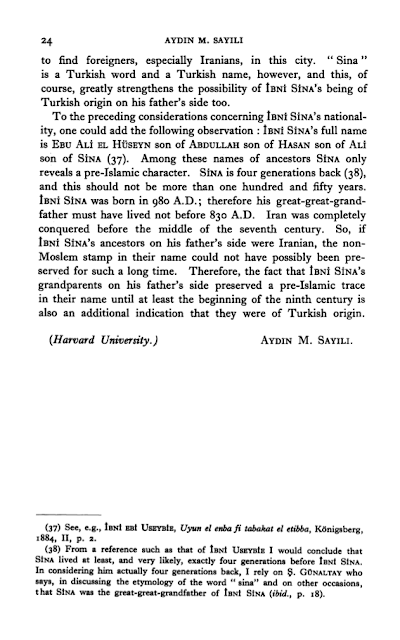 Aydin Sayili was the first of those rare student-species to receive a Ph.D. under Sarton at Harvard University. 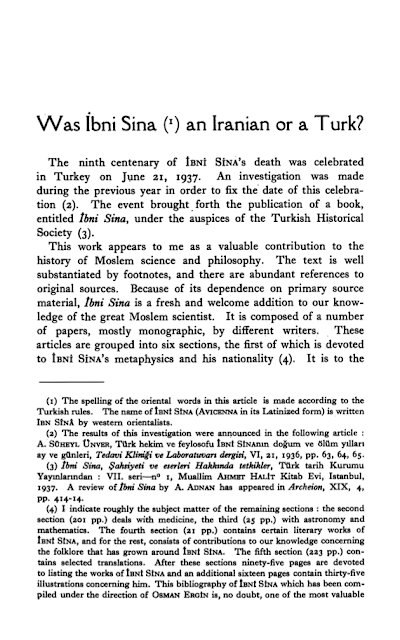 The date of his degree and the title of his dissertation were announced in 1942.